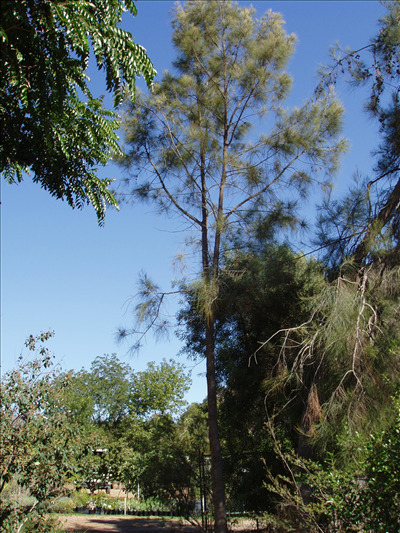 A handsome tall tree from low-lying areas of plain country in Australia. Grows well in heavy alkaline clay soils as well as well-drained loamy soils. Apparently does not like deep sandy soils. Useful fast growing shelter tree for stock. Excellent for erosion control as it may sucker from the roots. Attractive large seed pods are used for decoration.